The death of Eli L.L. Borntrager, 29, of Madison has been ruled homicide by Randolph County Coroner Gerald Luntsford. 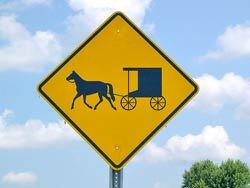 Mr. Borntrager, an Amish, died at approximately 10:45 a.m. Jan. 12th of this year in an automobile-cart accident on U. S. 63 in the city limits of Moberly. L.L. Borntrager was traveling south on Highway 63 in a horse drawn two(2) wheel road cart. 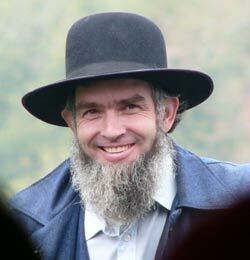 Mr. Borntrager was pronounced dead at the scene, the horse was badly injured and was euthanized by a local veterinarian. “The cart was equipped with a slow moving vehicle triangle of appropriate size. The road was dry and the weather was clear,” the report states. In Coroner Luntsford’s report, finalized Feb. 11, it stated that he still had not received an accident report from the Moberly Police Department and that the 2007 Chevrolet was impounded at Smith’s Towing at Higbee and that evidence had already been removed from inside the vehicle. 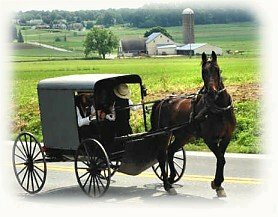 A Jackson County woman was sentenced to 120 days in jail after investigators say she hit an Amish buggy with a truck and then took off. The Jackson County District Attorney says as part of a plea deal, three counts were dismissed against Corine Byom. She pleaded no contest to obstructing an officer. Deputies say in November of 2008, Byom was driving a truck on Highway 95 south of Hixton, when she hit the buggy, killing the horse and injuring two people. According to the criminal complaint, Byom asked her father to help her hide the truck. Investigators say he covered it with a tarp on his property, where deputies later found it.